If the King of the British Empire granted you the rights to occupy and enjoy your land - would you believe him - would you trust him??? 2015 People of Passion International Film Festival, Melbourne. 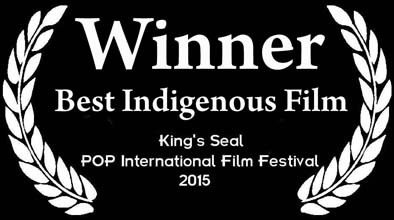 - Winner Best Film - 2015 Footprints Eco Film Festival, Sydney. - Nominated Best Documentary - 2015 South Australian Screen Awards. - 38th Festival du film court en plein air de Grenoble, France - Official Selection. 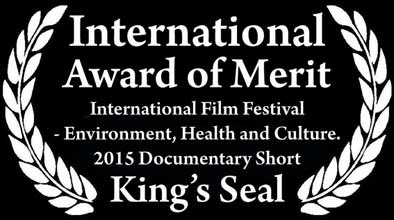 Above : King's Seal Documentary Trailer. Above : Bobby Brown Homelands - Sequence from King's Seal. British Nuclear testing - a Breach of the King's Letters Patent. Nominated Best Documentary - 2015 South Australian Srceen Awards. 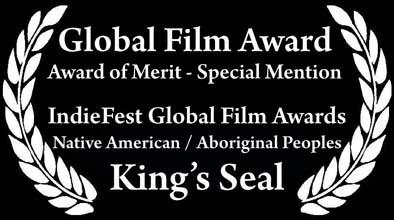 Above : Stephen Gadlabarti Goldsmith - Sequence from King's Seal. Discovering the King's Letters Patent original document.